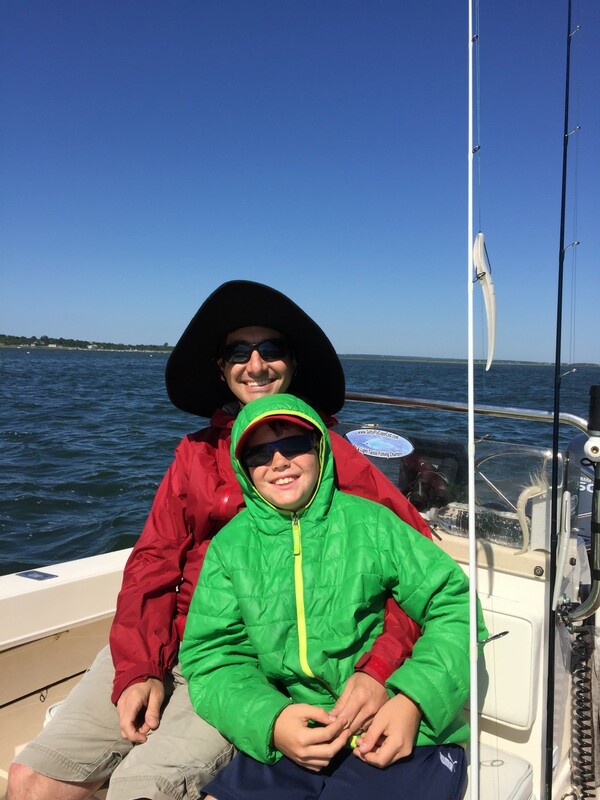 This week’s father/son team braved the strong North­west winds and accom­pa­ny­ing large waves to boat more than sev­er­al stripers! Hard to believe just two days ago it was 90+ degrees. Today wind­break­ers and hood­ies were in order.